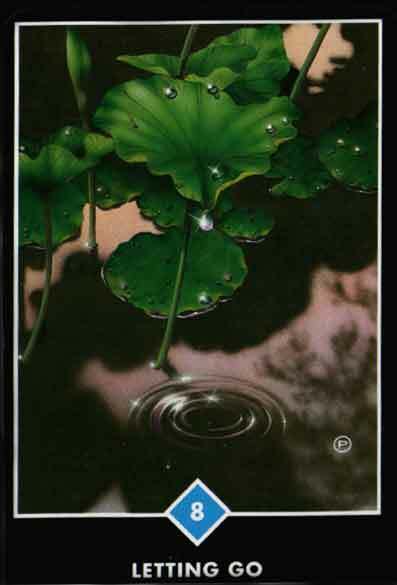 “Letting Go” is The Osho Zen Tarot Card of the Week for June 2 to June 8, 2014. Commentary on the Card: In this image of lotus leaves in the early morning, we can see in the rippling of the water that one drop has just fallen. It is a precious moment, and one that is full of poignancy. In surrendering to gravity and slipping off the leaf, the drop loses its previous identity and joins the vastness of the water below. We can imagine that it must have trembled before it fell, just on the edge between the known and the unknowable. To choose this card is a recognition that something is finished, something is completing. Whatever it is–a job, a relationship, a home you have loved, anything that might have helped you to define who you are–it is time to let go of it, allowing any sadness but not trying to hold on. Something greater is awaiting you, new dimensions are there to be discovered. You are past the point of no return now, and gravity is doing its work. Go with it–it represents liberation. What an exciting card! I think of stepping into the unknown as like riding a roller coaster. There are moments of feeling scared but, if you go with it, what an exhilarating ride! From personal experience, I know when something is over it’s over. We can try to fool ourselves for awhile because change seems scary. But, if we don’t make the necessary changes gracefully, the Universe will arrange for the changes to occur and that may be a bit of a bumpier experience. If you’re having trouble letting go, let me help. 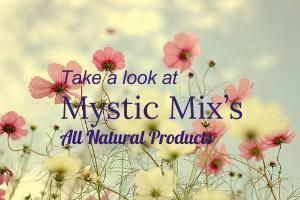 To arrange a counseling session, please contact me at: laura@mysticmix.com, or on my cell at: (801) 366-4469.